Yemen throws out 'four-point peace plan' submitted by Iran, which hopes to preserve the Houthis' military gains on the ground. Yemen’s Foreign Minister, Riyad Yassin, underlined on Sunday Yemen’s rejection of the “four-point peace plan” that Iran has submitted to the UN Secretary General and the President of the Security Council. The Houthis follow a version of the Shiite Islamic religion, and reside mostly in the mountainous northern regions of Yemen. 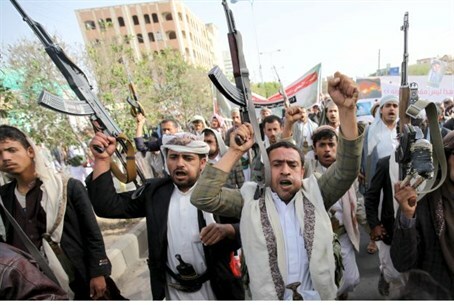 With Iran’s weapons and in an alliance with Yemen’s former-president Saleh, the Houthis swooped down into southern Yemen where the Sunni predominate. They now occupy an area in South Yemen with close to 12 million Sunnis. In essence, Iran’s plan would have locked in its Houthi proxy’s military gains on the ground, while enabling Iran to militarily re-arm the Houthis.